San Antonio is gearing up for its Tricentennial next year, but there is another important milestone as well. 2018 will be the 50th anniversary of HemisFair ’68 – the World’s Fair that transformed San Antonio’s downtown, extending the River Walk and kickstarting a tourism and convention revival that continues today. 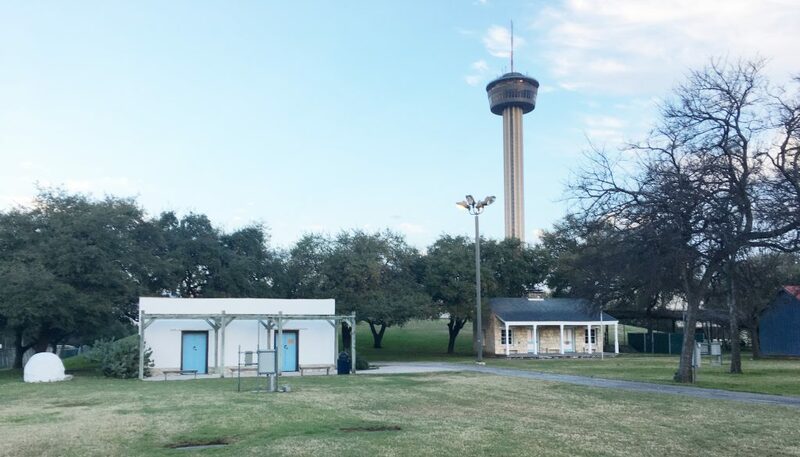 HemisFair was the first World’s Fair to incorporate historic buildings – some two dozen – although over 200 were demolished with the urban renewal funds used to build the fairgrounds. The Solomon Halff House, called the Kampmann House, built 1878 as used during the 1968 World’s Fair as Le Maison Blanc, a French restaurant. I was a docent for this house this spring. 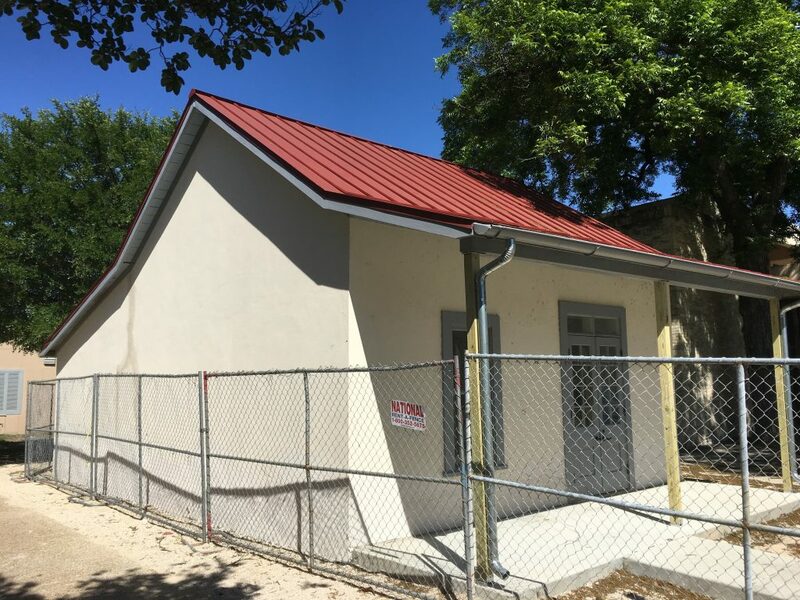 The Amaya House was just moved within Hemisfair Park this year – saved again! Schultze Hardware building – actually the cast iron facade elements are the original portions here. 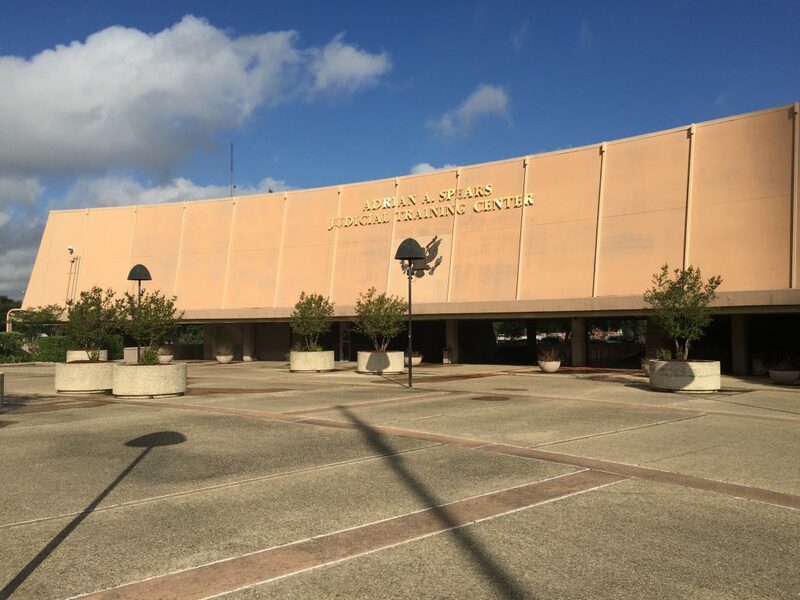 But of course the NEW buildings of 1968 will ALL be 50 years old next year, and several have already been judged eligible for the National Register of Historic Places. 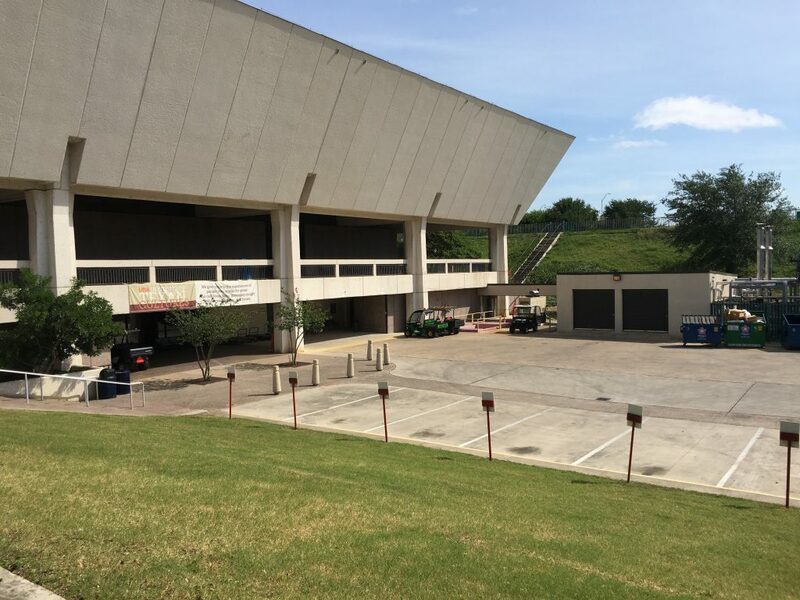 One that the San Antonio Conservation Society has been advocating for years is the Wood Courthouse, which was the United States Pavilion/Confluence Theater during the summer of 1968. 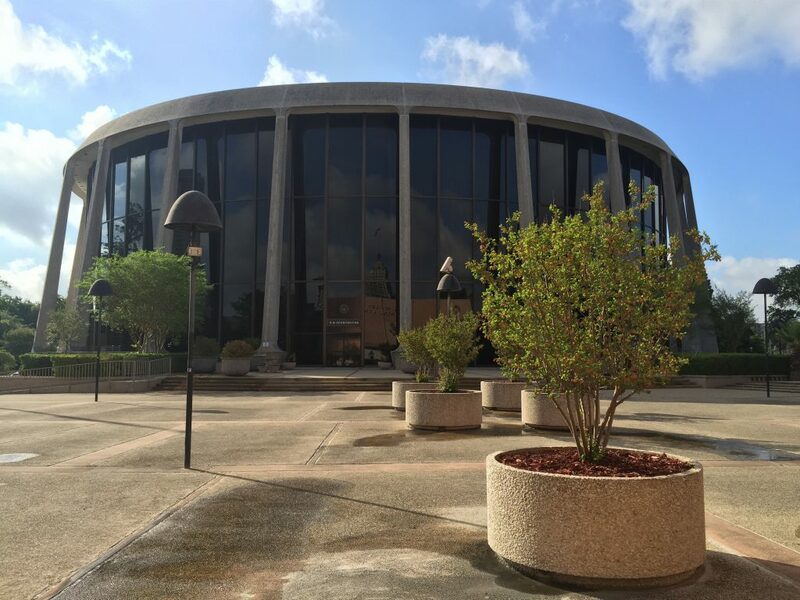 The Courthouse will move out in three years, but the Federal government recognizes its significance. This gives some hope it will be repurposed when sold or transferred. The glass entrance side. Wouldn’t this make a great new Magik Theatre? 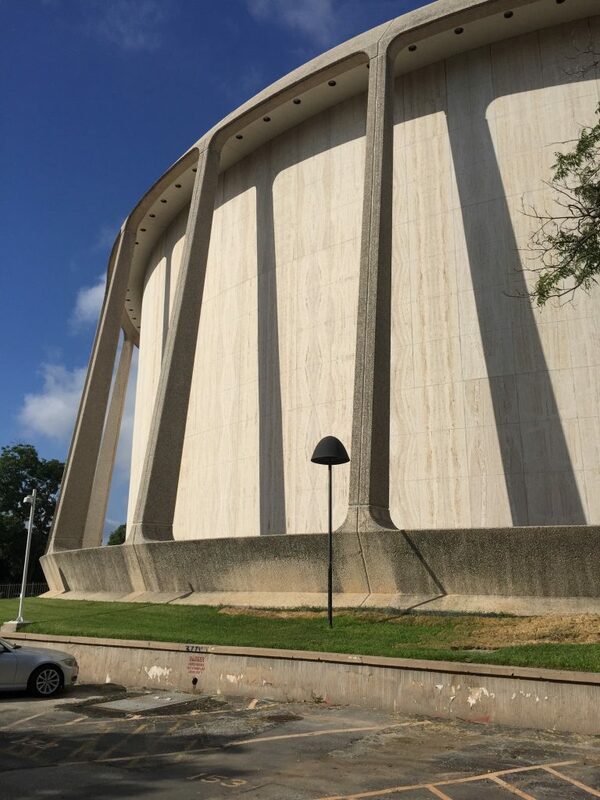 The stone side, with exquisitely bookmarked travertine and a concrete exoskeleton, designed by local notable architecture firm Marmon and Mok with Donald Deskey. 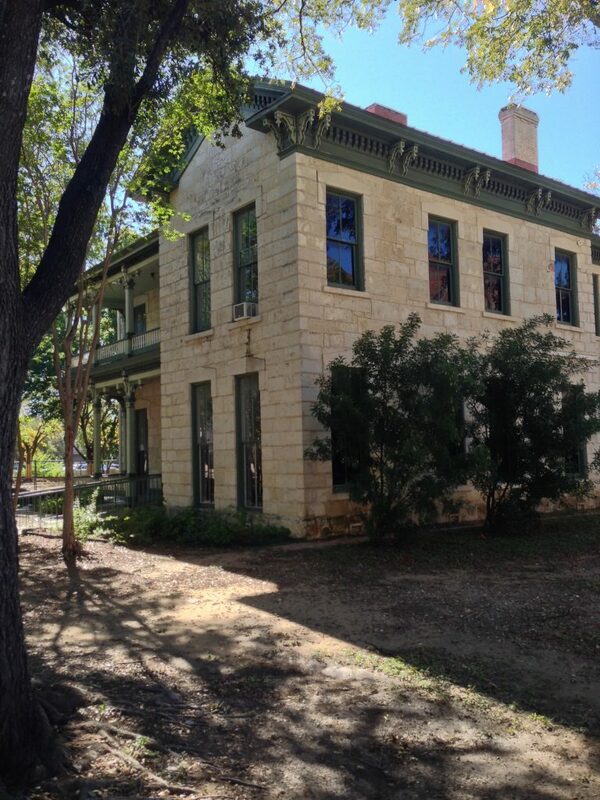 The building was put on Preservation Texas’ Most Endangered List in 2016. The concave Spears Judicial Training Center facing the courthouse, again part of the U. S. Pavilion in 1968. The big challenge will be the Texas Pavilion, which has been UTSA’s Institute of Texan Cultures. 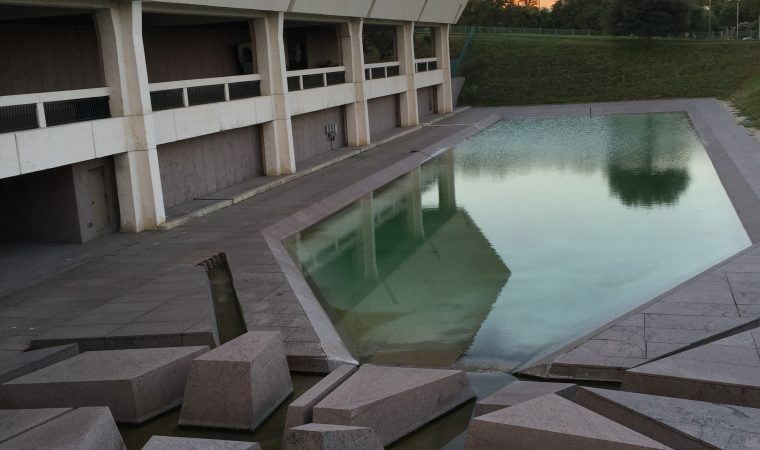 This is a massive Brutalist masterpiece, originally surrounded by earthen berms on all four sides (one side was removed) with concrete overhangs and angular geometries that dart from the facade into the fountain. To me one of the most overlooked elements of High Modernist buildings like this is the emphasis on continuity – continuity of material, of plane, of line. They seem to jet off in each dimension without break or pause – composed of contrails. 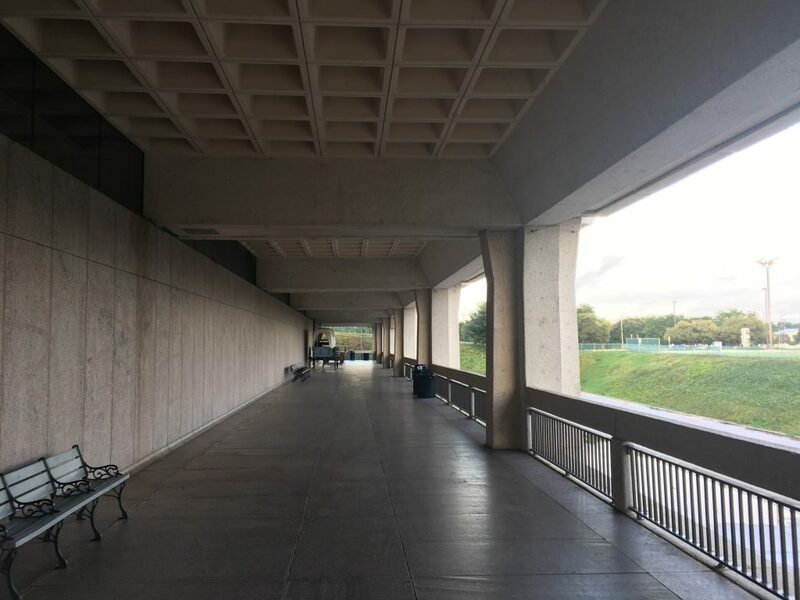 Also, the siting of the building – half below the entrance, half above – is reminiscent of Skidmore Owings and Merrill’s Air Force Academy complex by Walter Netsch – a compositional element that emphasizes space-spanning rectilinearity. Coming up with a rehabilitation plan for this building will be huge. 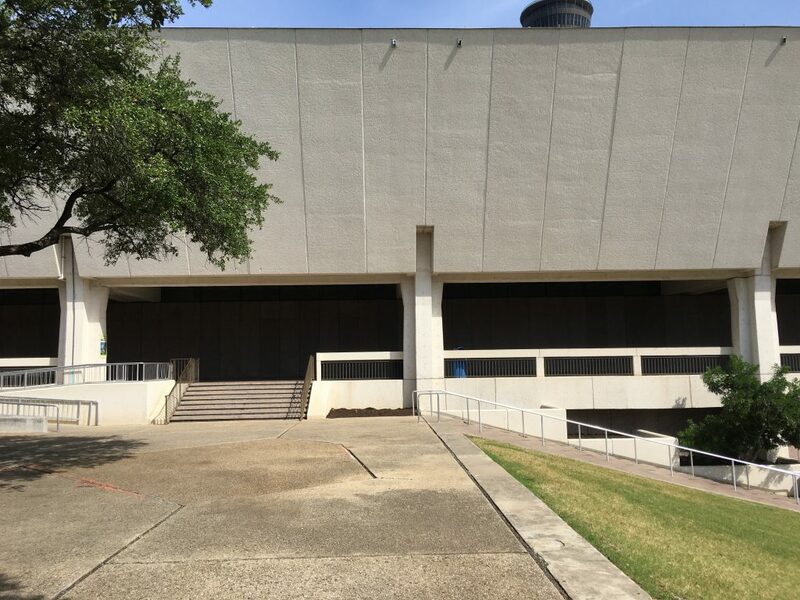 The Institute of Texan Cultures has been the use since 1968. Given the economics of museums, a new use is needed, at least for a majority of the structure. 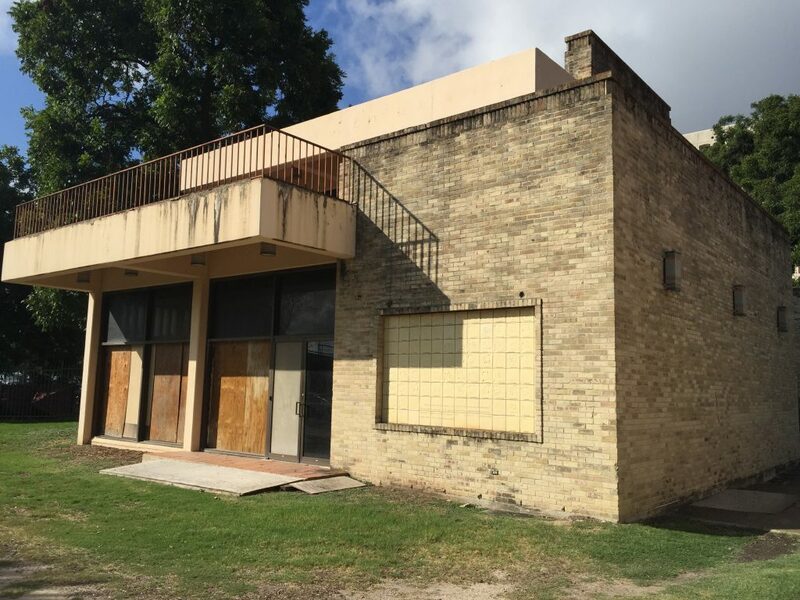 Stuart Johnson, a San Antonio Conservation Society Board member, suggested that the building could be retail – it is already a big box! Stuart also suggested bowling – this building is big enough for a lot of uses! With the centerpiece of HemisFair, the Tower of the Americas, in the background. Designed by the Houston firm of Caudill, Rowlett and Scott, the structure is big and bold, and thus a challenge. Do people like it? Can it be adapted to a viable new use? Could you add on to it without destroying its architectural expression? Would a lateral addition make more sense than a vertical one? 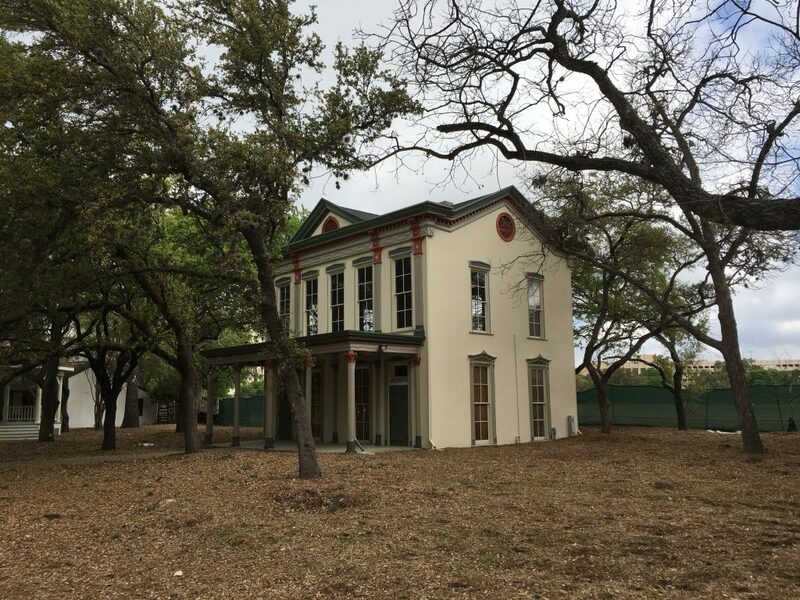 The Institute of Texan Cultures also has a little petting zoo of historic buildings on the east side of the main building. What will become of them? They are not original to the site, so perhaps they will follow the ITC when it moves to its newer smaller space? A kiva, an adobe, a stone cottage and off to the right through the trees a dogtrot log cabin. There are more buildings to the north. We just posted a wonderful online archive of the construction and development of HemisFair ’68 on our website and you can access it here. 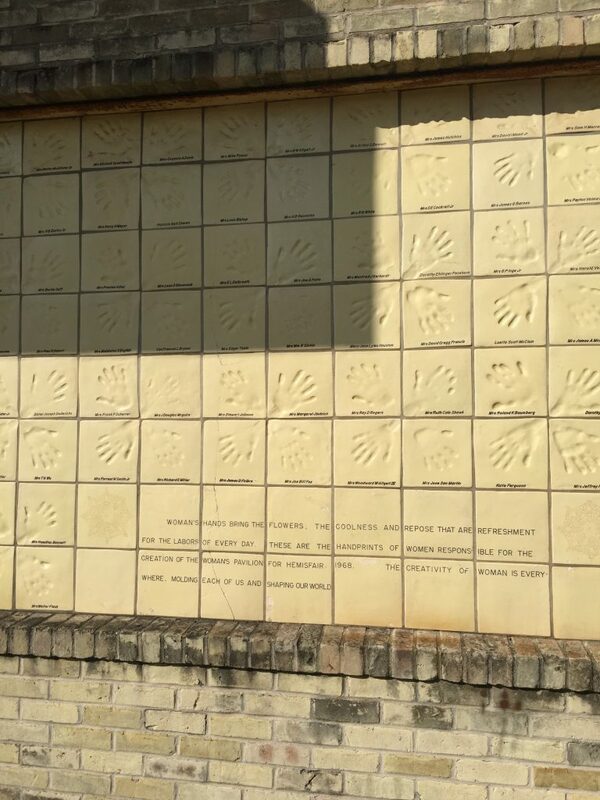 Many of the original 1968 buildings are gone, and some of those that survive are unused and in need of repair, like the Women’s Pavilion, ornamented with the handprints of the women of San Antonio who commissioned it pressed into tiles. Not intended to be permanent, the Kodak Building is still there, evoking an Instamatic from the era. 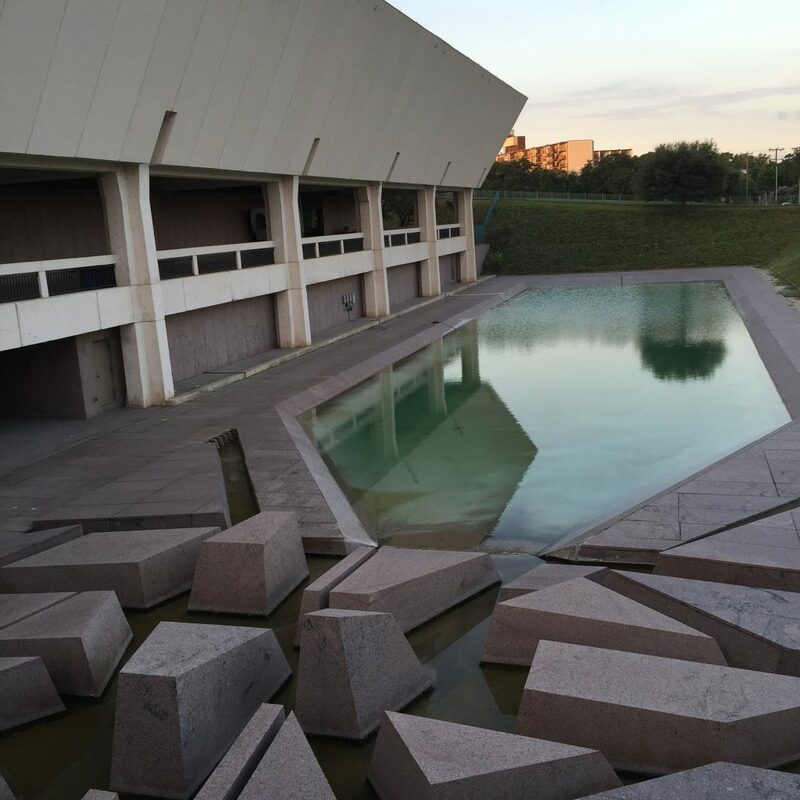 The bits lying on the ground are from the 1988 revision of Hemisfair Park. 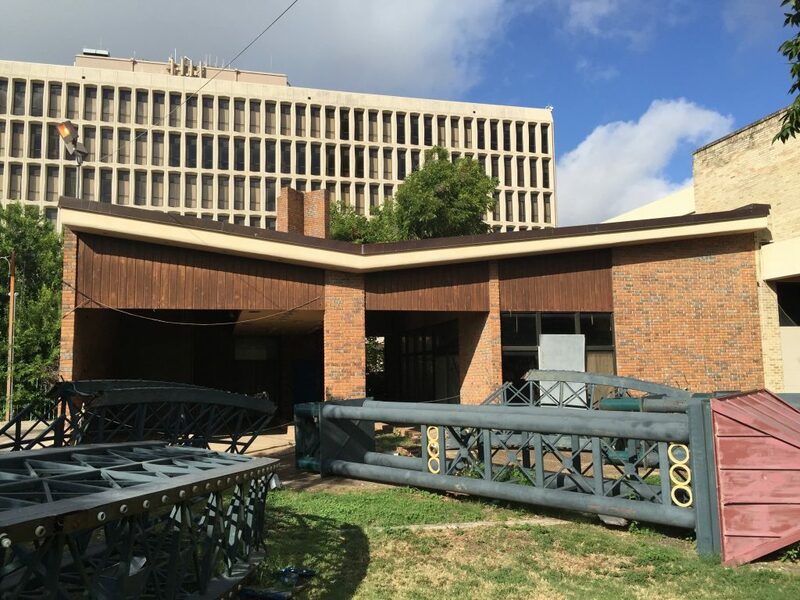 Today Hemisfair is being born yet again, with the reconstructed Henry B. Gonzalez Convention Center, a new Civic Park, hotel, office and residential construction. 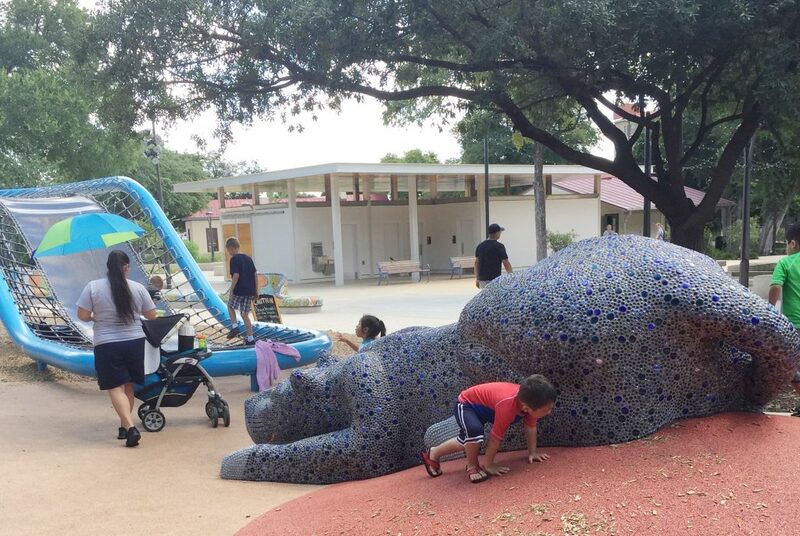 The first phase of the latest iteration of the park was Yanaguana gardens, a hugely successful interactive children’s park that is ALWAYS busy. Yanaguana Gardens. The glass tile panther is by San Antonio artist Oscar Alvarado. So, we have in the near future one huge challenge (ITC/Texas Pavilion), one big challenge (Wood Courthouse/Confluence Theater), and a host of other challenges as Hemisfair park undergoes its greatest transformation in 50 years. 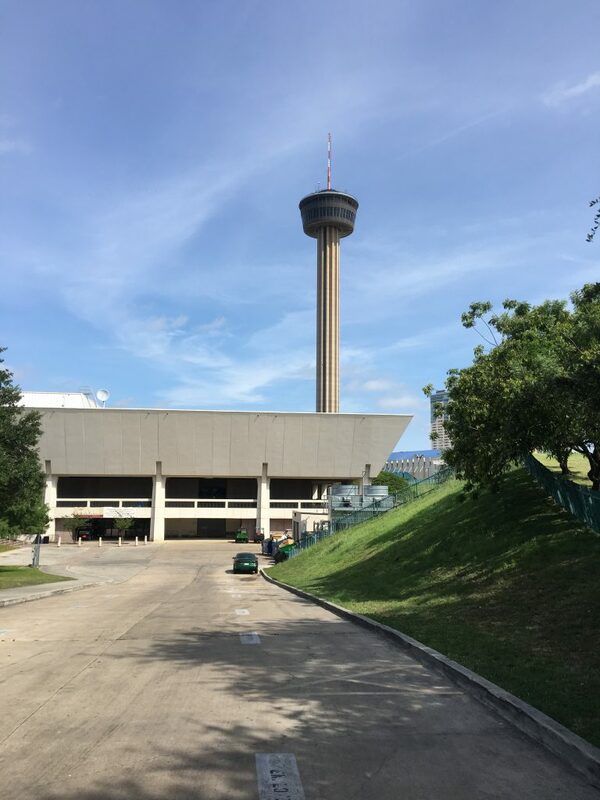 The San Antonio Conservation Society will continue to monitor every building and every development in the park and continue pressing for rehabilitation and re-use of the buildings and structures of HemisFair ’68. Don’t forget to check out our online exhibit on HemisFair ’68!